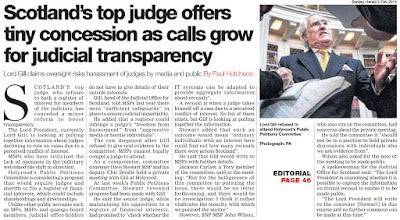 Holyrood sourced documents reveal Perth law firm pursuing client over ‘disputed’ fees campaigned against independent regulation of lawyers. 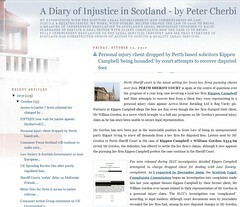 DOCUMENTS obtained from the Scottish Parliament and brought to the attention of Diary of Injustice by legal insiders concerned over a case reported last Friday, that of Perth based law firm Kippen Campbell who are pursuing a personal injury client they dropped for 'disputed feels', after complaints were made about their service, stunningly reveal two of the law firm’s partners made almost identical submissions to the Scottish Parliament’s Justice 2 Committee in 2006, challenging legislation created to usher in independent regulation of complaints against solicitors. 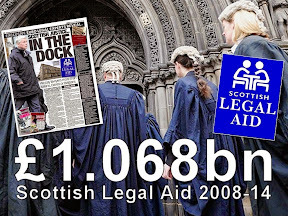 The Legal Profession & Legal Aid (Scotland) Act 2007, as the legislation is now known, was eventually passed in December 2006. Last week Diary of Injustice reported on Perth law firm pursues client for disputed fees. Last week, Diary of Injustice reported on a year long case in Perth Sheriff Court where a local law firm Kippen Campbell, are pursuing a former client, Mr William Gordon for allegedly due fees (Kippen Campbell v William Gordon A334/09). 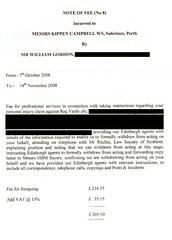 Documents seen by Diary of Injustice show Mr Gordon had been dropped by the law firm after he made complaints to the Scottish Legal Complaints Commission & Law Society of Scotland over the level of service he had received from Kippen Campbell in connection with a personal injury claim in the Court of Session (A625/04 William Gordon v Arriva Motor Retailing Ltd Party Litigant - HBM Sayers), now stalled due to lack of legal representation. Kippen Campbell then attempted to charge Mr Gordon for dealing with the complaint. Kippen Campbell partner Sally McCartney sent letter to Scottish Parliament over ‘concerns’ of independent regulation of solicitors. Documents provided to Diary of Injustice today now reveal Kippen Campbell solicitor Ms Sally McCartney, who ironically represented Mr Gordon’s legal interests and is named in Mr Gordon’s complaints to the SLCC & Law Society of Scotland, sent a template letter distributed by the Law Society of Scotland to the Scottish Parliament’s Justice 2 Committee who were considering the LPLA Bill and independent regulation of complaints against solicitors in 2006. 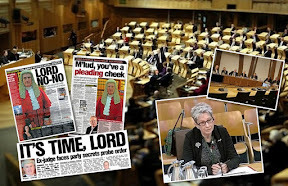 The letter challenged & questioned legislative moves to bring increased protection to consumers of legal services in Scotland in the shape of independent regulation and independent oversight of claims against ‘crooked lawyers’. Former Law Society Chief Executive Douglas Mill threatened Scottish Parliament, Government with legal action over complaints legislation. 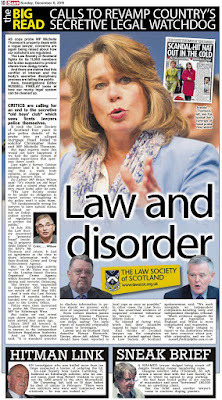 Ms McCartney’s letter then went on to mention the Law Society of Scotland obtained an ECHR opinion from an English LibDem Peer, Lord Lester of Herne Hill QC, who claimed it was against the human rights of a solicitor for a complaint to be independently investigated by anyone other than another solicitor. The Law Society of Scotland’s then Chief Executive Douglas Mill challenged the Scottish Parliament’s right to pass the LPLA Bill, and issued a threat of legal action to the Parliament & Scottish Government, based on Lord Lester’s opinion.The Law Society of Scotland’s threat of legal action against the Scottish Parliament & Scottish Government was not pursued, although amendments to the LPLA Bill passed by MSPs did stymie some of the original measures designed to protect consumers from ‘rogue solicitors’. On reading the almost identical submissions made to the Scottish Parliament by partners from Kippen Campbell, who are now involved in the now publicised Perth Sheriff Court action over disputed fees, law reform campaigners suggested this afternoon anyone considering using a Scottish solicitor should check their prospective legal representative’s stance on complaints handling, and also ensure any work they ask a solicitor to undertake for them is properly estimated in terms of costs before clients agree to proceed. Clients are also advised to thoroughly check fee demands from their solicitors to ensure they are not being ‘ripped-off’ or charged for issues such as complaints handling, if a client has been forced to submit a complaint to either the Scottish Legal Complaints Commission or Law Society of Scotland regarding their solicitor’s poor service or conduct. 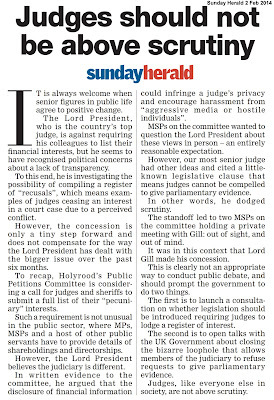 Scottish Parliament will pass swift amendments to Scots criminal law today but what of civil justice reforms. MOTIVATION to change, reform or ‘tamper with’ the Scottish justice system comes in all shapes & sizes, although it appears no motivation for change in recent times has come more forceful than yesterday’s UK Supreme Court ruling on Cadder v HMA, which has today brought a hurried, ill tempered Scottish Parliament debate on significant changes to Scots criminal law, focussing on mostly the rights of accused to have a solicitor present while being questioned by Police. Justice Secretary Kenny MacAskill called Scotland’s Justice system proud & distinctive, admired by others. A rather reluctant-to-change (to put it mildly) Scottish Justice Secretary, Kenny MacAskill said yesterday in the Scottish Government’s media release to the Supreme Court’s decision, the Scottish justice system was, or is “… a proud, distinctive, justice system, developed over centuries, and predicated on fairness with many rigorous protections for accused persons. 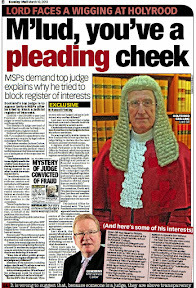 It is rightly admired by other jurisdictions.” however, many of the actual users of the Scots justice system, whether relating to civil law or even criminal law, do not appear to share Mr MacAskill’s distorted vision of a justice system which appears more to hold Scots hostage to the past, and hostage to injustice, rather than being a beacon for fairness for all Scots it very much should be. The Lord Justice Clerk, Lord Brian Gill spoke to the Law Society of Scotland’s 60th Anniversary Conference held on 8th May 2009, giving his verdict on his two year Civil Courts Review, branding Scotland’s civil justice system as “a Victorian model that had survived by means of periodic piecemeal reforms”. 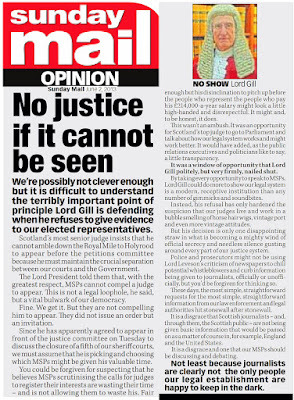 Lord Gill went onto say Scottish civil justice fails on many counts, has notorious delays and high costs to litigants, deterring claims which may be well-founded and branded its procedures as frustrating and obstructive rather than facilitating the achievement of justice. The Lord Justice Clerk, Lord Gill : I am honoured to be invited to talk about the Scottish Civil Courts Review to a gathering of lawyers who will be most directly affected by the outcome. We began our work in April 2007 and will soon submit our Report to the Cabinet Secretary for Justice. I have been saying for years that such a review was long overdue and that it is important that the outcome should be change that is significant and lasting. This is not the time for tinkering with the system. We have had that for a century or more. But it is not the time to cause upheaval by introducing changes that may require to be amended within a short time. This review is an opportunity to make a lasting difference. We have carried out a wide-ranging examination of the structure of the courts, their jurisdictions and their procedures. We have amassed a body of information never before collected in one source. 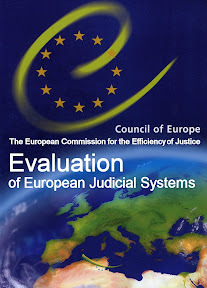 We have received evidence from respondents to the consultation paper, from statistical data compiled by SCS and from comparative studies of other jurisdictions. We have also held numerous meetings with interested bodies and individuals. I am grateful to all those who have helped us in our study. Over 200 individuals and organisations gave us their views and ideas. We may not know what the answers are but we certainly know what the problems are. Our work has also been informed by what is done in other jurisdictions. The difficulties which we have identified are often reflected in work being done elsewhere. That does not mean that there are ready made solutions to be found elsewhere. Systems are different in other jurisdictions, with practical and cultural implications for every change proposed. Decisions taken reflect a wide range of influences which will be different in every country. It has nonetheless been useful to learn what we can from others’ work. The responses to the consultation paper were clear on the areas where reform is needed. It was reassuring that the issues that we had provisionally identified seemed to be on the right lines. We have been surprised by some of the points being made and experiences related to us. We have heard from legal practitioners at an individual and a representative level; members of the judiciary, court users; advisory bodies; and many more. There are relatively few matters where a possible solution would be universally acclaimed; but there are a few areas where there is strong consensus. So while we will not please some people, I hope that we will not antagonise everybody. 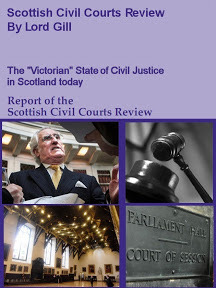 The civil justice system in Scotland is a Victorian model that had survived by means of periodic piecemeal reforms. But in substance its structure and procedures are those of a century and a half ago. 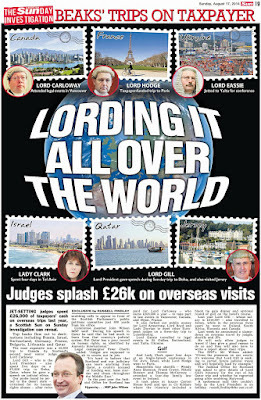 It is failing the litigant and it is failing society. It is essential that we should have a system that has disputes resolved at a judicial level that is appropriate to their degree of importance and that disputes should be dealt with expeditiously and efficiently and without unnecessary or unreasonable cost. That means that the judicial structure should be based on a proper hierarchy of courts and that the procedures should be appropriate to the nature and the importance of the case, in terms of time and cost. 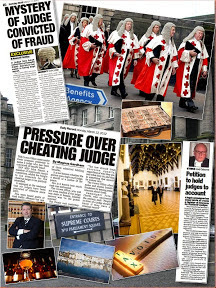 Scottish civil justice fails on all of these counts. Its delays are notorious. It costs deter litigants whose claims may be well-founded. Its procedures cause frustration and obstruct rather than facilitate the achievement of justice. 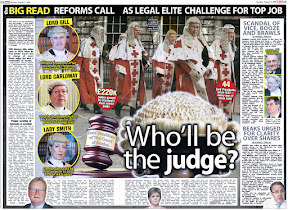 Unless there is major reform and soon, individual litigants will be prevented from securing their rights, commercial litigants will continue to look elsewhere for a forum for their claims, public confidence in the judicial system will be further eroded, Scotland’s economic development will be hindered, and Scots law will atrophy as an independent legal system. The conclusions of our Review are as stark as that. 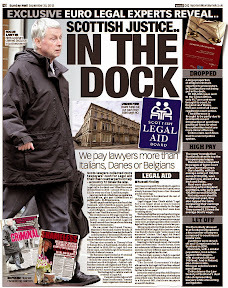 You may think that the profession has enough to contend with without also having a civil courts review as well. I sympathise with that view. In over 40 years in the profession, I have never experienced times like these. But there is never an ideal time for change. So I urge you to be receptive to the conclusions of a lawyer-led programme for reform, if only for fear of something worse. b) in the longer term, the establishment of a mechanism by which the system will constantly adapt and renew itself rather than lurch into piecemeal reforms every two or three decades. This is a once-in-a-generation opportunity. I think that the Scottish Ministers recognise that. What we will offer will be an integrated set of proposals that will give the best prospect of change if adopted as a package. It would be regrettable if only the easy gains were to be cherry-picked to give the semblance rather than the reality of reform. It would be a breach of protocol, and a discourtesy to the Cabinet Secretary, if I were to discuss the conclusions of our Review. But I think that it may help to set the context in which our report will be drafted if I identify the main topics and let you know the way the wind was blowing in our consultation exercise. The consultation process and the research undertaken by the Review Team suggest that the issues fall into three broad categories: access to justice, delay, and inefficiency. Fundamentally this is about the cost of accessing the civil courts - both real and perceived. Looking at the position in other countries, I think that we are fortunate in Scotland to have a system of legal aid which is not capped. The system itself does not fall within the remit of the Review; but we welcome the recent increase to the upper disposable income threshold introduced by the Scottish Government. There remain concerns however about whether the civil court system in respect of costs generally supports access to justice in all circumstances. For example, although speculative fee arrangements of various kinds are now common in reparation actions, there are many other types of action that are unlikely to be funded on this basis; for example, family actions. In complex reparation actions, such as claims in relation to medical negligence, it may be difficult for claimants to find a solicitor willing to act on a speculative basis and after the event insurance premiums may be prohibitively expensive. Many respondents drew attention to the unreasonable cost of litigation and to the fact that, where speculative fee arrangements were not available, many potential litigants may not be able to afford to assert their rights. There is also the deterrent effect of the risk of an adverse finding in expenses if the action fails. The shortfall between party and party expenses and agent and client expenses was also referred to, in particular, in relation to commercial litigation in which it was submitted that recovery rates are much lower than in England and Wales and that this operates as a disincentive to litigating in Scotland. In England and Wales, the average recovery rate is also the subject of complaint. Concerns were also expressed about the system of taxing judicial accounts of expenses. We have not been surprised to find that there is a strong feeling that the pressure of criminal business, in terms of volume and the priority assigned to it, is having a detrimental impact on civil business in both the Court of Session and the sheriff court. Lengthy waiting periods for proofs and the deferment or interruption of cases to make way for criminal business all cause concern and add to expense. There have been other causes of delays. For example, respondents complained of delays in issuing judgments in the Court of Session. Our attention has been drawn to numerous cases in which the delay was excessive. We were surprised by the depth of feeling on this matter. This is important for everyone. For those litigants in the commercial field who have a choice of where to litigate, the prospect of delay can outweigh the competitive advantage which Scottish solicitors are able to offer. A number of solicitors practising in the commercial field have said that they had lost business as a result of the length of time it takes for cases to be resolved, particularly if there is an appeal. That is not good for Scotland. In the context of remedying inefficiency the areas that require to be considered urgently are (a) the appropriate use of judicial resources, including part time resources; (b) specialisation; (c) case management; and (4) IT. In response to questions regarding the allocation of business between the Court of Session and the sheriff court, many respondents favoured the status quo; but many others suggested that there is too much low value litigation in the Court of Session, and the sheriff court too, and that this has an adverse effect on the expeditious conduct of other business. It was suggested that it was not a cost effective or appropriate use of judicial resources. Many respondents were in favour of the creation of a new level of judicial officer to deal with lower value cases and were generally of the view that this should be a professional post. We also received representations on the use made of temporary or part time resources in the Court of Session and the sheriff court. Part time appointments were conceived to provide flexibility in dealing with emergencies and unexpected peaks of work. The reality is that they form a permanent and integral part of the court programme in both the Court of Session and the sheriff court. The programme could not be delivered without them. Respondents have complained that part time justice may lead to inconsistent decision making and poor case management. They have also expressed concern about the appropriateness of part time judges and sheriffs sitting in courts in which they commonly practise. This may not be good for the appearance of things. There was considerable support from practitioners and court users for a greater degree of specialisation, particularly at sheriff court level, and for a more proactive system of case management. The way in which court programmes are structured at present and the demands of summary criminal business make it difficult to ring-fence civil business, or to provide a degree of specialisation or continuity, in all but the largest courts. Family practitioners, in particular, were concerned about a lack of continuity and consistency in decision making in cases involving children. Those involved in referrals from children’s hearings and adoptions were concerned about the problems of allocating hearings of sufficient length for complex cases. As a result hearings took place for a day or two at a time over extended periods, often of several months or more. This cannot be right in an area of law in which the child’s best interests are a paramount consideration. The proposal, canvassed in the consultation paper, to establish regional civil justice centres where specialist sheriffs would be based did not attract much support. It was felt that this would be expensive to set up. There was a strong view that family cases should be dealt with locally in view of the need for parties to attend child welfare hearings and the fact that urgent interim orders are often sought in such cases. Concerns were expressed about access to justice if parties were required to incur the cost of travel to a regional centre rather than have their case heard in the local sheriff court. Housing was another area where it was thought that a greater degree of specialisation was desirable. A number of respondents favoured the establishment of a specialist housing tribunal or an expansion of the jurisdiction and remit of the Private Rented Housing Panel. Others, including those representing the interests of tenants, thought that housing cases raise important and complex issues of law and should remain within the sheriff court. There was, however, considerable support for improving the procedure in housing cases, placing greater emphasis on alternative dispute resolution, and exploring alternative methods of supervising payment arrangements. On the issue of mediation and ADR, respondents who had experience of court proceedings as litigants, and organisations representing the interests of litigants, tended to have a more positive attitude towards mediation and other forms of dispute resolution than respondents from the legal profession. This suggests that litigation is not currently providing all that people want in terms of dispute resolution processes and that there is a desire for the civil justice system to provide a broader range of options. 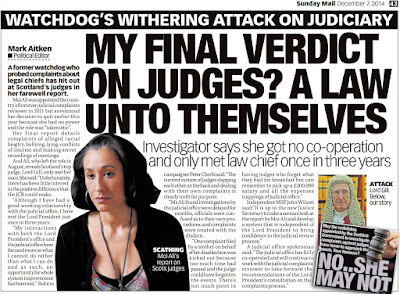 There was a fair degree of consensus that mediation was not appropriate in cases where there was a need for a judicial precedent or a declaration of legal rights, but there was no evidence of concern that greater use of mediation might lead to “loss of law” or harm the development of Scots law. On the contrary, some respondents suggested that one of the benefits of greater use of mediation would be that court resources would be freed up to deal more expeditiously with cases that genuinely need judicial determination. There was scarcely any support for the idea that mediation should be a compulsory first step, as a condition precedent to the raising of a litigation. There has been considerable support for the proactive case management model adopted in the commercial court in the Court of Session and in the commercial court, the personal injury pilot and the family court in Glasgow sheriff court. 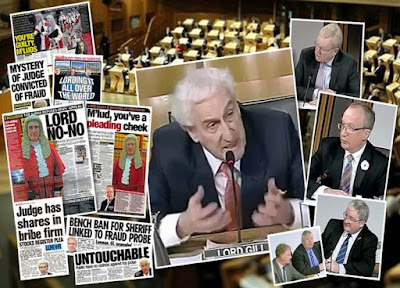 There was general agreement that the impact of the reforms to the ordinary cause rules in the sheriff court had lessened with time and that options hearings had become a formality where the principal agents did not appear personally. This leads to drift and multiple continuations. There was support in principle for a more actively case managed system, although views differed as to how this could be achieved if there was no continuity or “case ownership” by the judiciary. Complaints were also made about the use, for tactical reasons, of over elaborate and technical pleadings; and late disclosure of documents or evidence. There was particular concern that procedures are not sufficiently geared towards efficient use of court time. The majority of respondents supported the proposition that greater use should be made of IT. In particular, there was considerable support for electronic filing and transmission of documents to the court; for the creation of electronic processes or case files; for the use of telephone or videoconferencing facilities for procedural and, where appropriate, substantive hearings; for the ability to file and process certain types of claim on-line; for the digital recording of evidence; and for advice and self help guides to be available on-line to assist those without legal representation. Scotland is far behind many other jurisdictions in its use of IT. There are obvious resource problems, but even if IT is a medium to long term project, there are quick and easy gains to be made in the introduction of more efficient, streamlined case management systems. Also within the concept of inefficiency is the question of the management of party litigants in the civil courts. It was clear from our consultation that party litigants create significant difficulties, for the courts and for their opponents, and can result in a significant waste of judicial time. It is a party litigant’s right to represent himself but we have to acknowledge that this should not be at the expense of other court users. We must therefore look at how best to support and manage party litigants to minimise disruption. That raises the related problem of abuse of process. We intend that our proposals will set out a pragmatic and practical programme of reform. They will not please everyone; but please approach them with an open mind. Please also recognise that they are the product of two years of dedicated work by the Review Team, whose efforts are beyond praise. I am grateful for the opportunity to thank the Team publicly. The Review has been a considerable undertaking and I am proud to have had the privilege of leading it. Scotland’s Court of Session to hear lecturer’s 15 year wait for justice against Motherwell College. IN a fitting tribute to mark the poor state of Scotland’s civil justice system on the European Civil Justice Day held every 25th October, a record breaking personal injury civil damages claim against Motherwell College & North Lanarkshire Council in the Court of Session which has its origins in the mid 1990’s and last year brought about Scotland’s first civil law McKenzie Friend is now set to be followed by an unprecedented thirteenth year of litigation with further hearings scheduled for 2011 in what some claim is a considerable abuse of the court process & the individual’s right of a fair hearing within a reasonable time as enshrined in Article 6 of European Human Rights laws. The case in question, M.Wilson v North Lanarkshire Council & Others (A1628/01) involves a sole party litigant, a former Music lecturer of Motherwell College, pitched against the might of North Lanarkshire Council and their indemnity insurers, Travelers Insurance Co Ltd who are both being represented in court by Edinburgh law firm Simpson & Marwick, themselves famed for their representation of solicitors shielded by the Law Society of Scotland’s Master Policy Professional Indemnity Insurance Scheme, operated by Marsh to defend against negligence claims raised by clients. 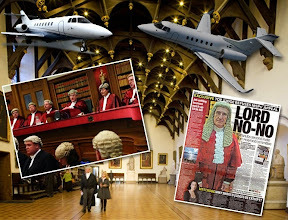 Legal insiders who have attended the court hearings report that Mr Wilson, who has been put in the forced position of having to represent himself after several big name law firms withdrew from his case at the last minute prior to scheduled hearings of the Proof, has also encountered repeated & numerous refusals of ‘expert witnesses’ from Scotland who refuse to assist his case as long as Mr Wilson is unrepresented. 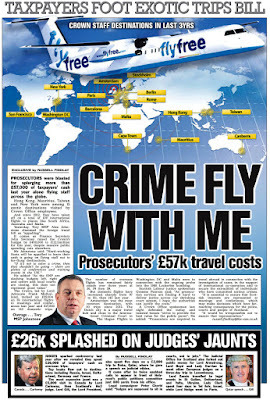 Instead, Mr Wilson has been forced abroad to Japan and the United States for supportive expert medical reports, leading to charges many in Scotland’s ‘expert witness’ groups “may have been nobbled or scared off” and will not provide their services to unrepresented party litigants such as Mr Wilson. According to court documents seen by Diary of Injustice, Mr Wilson was previously represented by the well known Edinburgh law firm of Balfour & Manson, who were appointed by Scotland’s largest teachers & lecturers Union, the Educational Institute for Scotland (EIS), who spent tens of thousands of pounds assessing Mr Wilson’s injury as a valid claim, and that it should proceed to court. Amazingly it took the EIS almost three years to lodge the summons against Motherwell College. Papers studied by legal insiders reporting on the case reveal that Balfour & Manson, after being appointed by the EIS spent a staggering eight years working on Mr Wilson’s injury claim, and then at the last minute, decided to withdraw from acting for their client with only weeks to go before scheduled Proof Hearings in the Court of Session. Balfour & Manson’s withdrawal from acting for Mr Wilson then became a suspicious pattern followed by further four law firms, including the Glasgow based Harper Macleod also withdrawing at the last minute, some eighteen months after representing Mr Wilson. 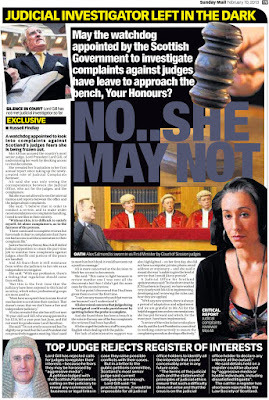 Harper McLeod claimed they had ‘suddenly discovered’ “a commercial difficulty” in that they had an annual retainer from Motherwell College for several years, and had represented the College in Mr Wilson’s Employment Tribunal hearing over his unfair dismissal, which Mr Wilson won on a unanimous decision. Motherwell College also appealed the Employment Tribunal decision on Mr Wilson’s case and lost again. A further two legal firms took on Mr Wilson’s case and then were apparently persuaded to drop their client, amazingly even returning fees paid to them for their service. Motherwell College squandered £300K of taxpayers money fighting a string of Tribunal hearings involving bullying allegations against lecturers which the College lost. A number of media reports, referred to in recent coverage of the case by Scottish Law Reporter, show Motherwell College were involved in a string of Employment Tribunal decisions the college lost during Richard Millham’s term as Principal of Motherwell College. 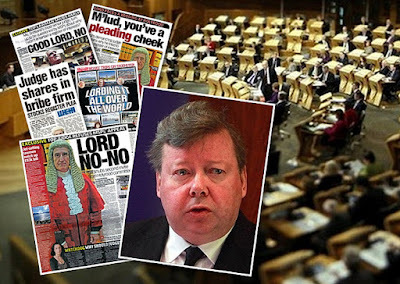 Allegations in newspapers including the Sunday Mail reported that “In 1999, lecturer Martin Wilson won 4000 after a tribunal ruled he had been unfairly fired. He had a back injury and could not work. A close friend said : "He was targeted by Millham. There was a strong climate of fear, which is still there ." During all this time and many forced appearances at the Court of Session as a party litigant, court staff have indicated in comments they believe Mr Wilson’s health has diminished considerably, one insider claiming to Diary of Injustice the former lecturer looked like he had aged 30 years in the last year alone. 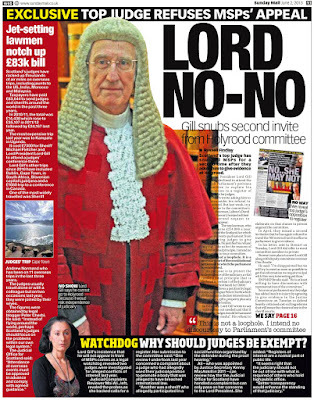 Court of Session judge Lord Woolman to hear case in a few weeks time. Hearings on Mr Wilson’s personal injury claim are scheduled to start again in a matter of weeks at the Court of Session under Lord Woolman. 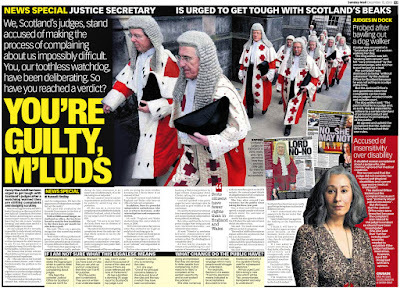 Legal insiders say many are now taking a strong interest in the Wilson/NLC case and its final outcome, especially in the wake of the Lord Justice Clerk Lord Gill’s recommendations in his Civil Courts Review to reform what he described as Scotland’s “Victorian justice system”, which appears to be so Victorian, cases can float around in the justice system literally for decades with party litigants such as Mr Wilson failing to get anything near approaching “a fair hearing within a reasonable time”. It is worth noting the solicitors acting for North Lanarkshire Council & Motherwell College, the Edinburgh law firm of Simpson & Marwick in their representation of insurers in connection with claims for asbestos related health diseases attained public notoriety last year in their appearance before the Scottish Parliament’s Justice Committee in September 2008, where one of their senior partners, Dr Pamela Abernethy of the Forum of Insurance Lawyers famously argued with MSPs that symptoms of Asbestos contamination were ‘good for people’. 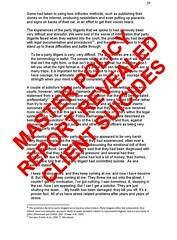 It is also worth noting last year, the Master Policy, of which Simpson & Marwick often act as lead solicitors, often representing fellow solicitors facing negligence claims from clients, was investigated by the Scottish Legal Complaints Commission, with an independent report carried out by the University of Manchester’s Law School linking the secretive ‘Master Policy’ insurance scheme to the deaths of clients who had attempted to claim damages from ‘crooked lawyers’. A staggering 15 year wait for Justice by a music lecturer against Motherwell College may see its disgraced former Principal appear in court. FIFTEEN YEARS later in what is Scotland’s longest running civil damages action involving Motherwell College, the disgraced former Principal & CEO of Motherwell College Richard Millham, dubbed the “Bully Boss” by the media due to a string of allegations of bullying involving college lecturers, may be back in the dock soon, this time in Scotland’s Court of Session in a civil damages action claim against Motherwell College, brought by Mr Martin Wilson, a former Music Lecturer at the College. 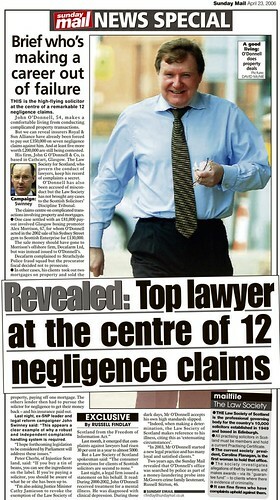 “Bully Boss” Richard Millham who was alleged in media reports ‘to have targeted Mr Wilson in a strong climate of fear’, was forced to resign after widespread press coverage of the many Employment Tribunal decisions lost by the College under his stewardship - some estimates put the cost of these at a staggering £300,000 pounds of taxpayers money. 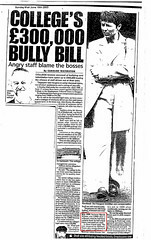 From 1995-1998 Motherwell College opposed Mr Wilson's claim for Unfair Dismissal while on long term sickness leave and lost, to a unanimous decision. Undeterred Motherwell College appealed the decision, and lost again. This was the first of several high profile Employment Tribunal cases lost by the Board of Management of Motherwell College, often to unanimous decisions against it. Undeterred, the Board of Management of Motherwell College has continued to spend thousands of pounds more of taxpayers money for the last 13 years opposing Mr Wilson's Personal Injury claim, the longest running civil case of its kind, the new Principal Mr Hugh Logan losing appeals before the FOI Commissioner and the Pensions Ombudsman along the way. 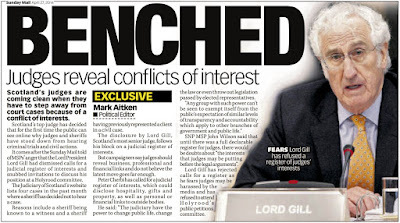 Mr Wilson has still not received his correct ill-health pension entitlement some 15 years after he was injured, all of which adds further substance to Lord Gill's recent criticisms of the Scottish Civil Justice system as 'failing society' and often involving 'scandalous delays'. In an age of fairness and public sector cuts it is difficult to imagine how Motherwell College's obstinacy can be justified. However it might have something to do with the important precedent the case will establish if successful and the attitude of the College's disgraced insurer Travelers Insurance Co Ltd, who have also been fined hundreds of millions of dollars in connection with workers claims for asbestos injuries, one of many subpoenas alleging it had acted "maliciously" using "fraud, deceit and outright lies," designing and orchestrating their claims settlement practices to "intentionally delay," and raising defences that they knew would never succeed in order to settle claims for less money. Perth Sheriff court is the latest setting for Scots law firms pursuing clients over fees. PERTH SHERIFF COURT is again at the centre of questions over the progress of a year long case involving a local law firm Kippen Campbell and their attempts to recover fees from a client they were representing in a personal injury claim against Arriva Motor Retailing Ltd & Reg Vardy plc. Partners at Kippen Campbell allege the fees are due, even though the law firm dumped their client, Mr William Gordon, in a move which brought to a halt any progress on Mr Gordon’s personal injury claim as he has since been unable to secure legal representation. 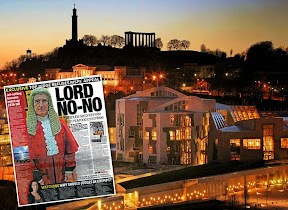 Mr Gordon has now been put in the unenviable position in Scots Law of being an unrepresented party litigant trying to stave off demands from a law firm for disputed fees. Letters sent by Mr Gordon to Perth Sheriff Court in the case of Kippen Campbell v William Gordon A334/09 reveal Mr Gordon, the defender, has offered to settle the law firm’s claims, although it now appears the pursuing law firm Kippen Campbell prefers the case continue in the Sheriff Court. Fee note released during SLCC investigation detailed Kippen Campbell attempted to charge dropped client for dealing with Law Society complaints. 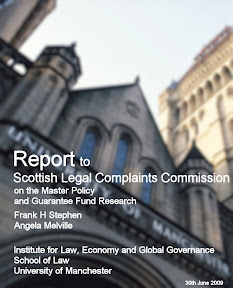 As I reported in December 2009, the Scottish Legal Complaints Commission began an investigation into complaints made late last year against Messrs Kippen Campbell by their former client, Mr William Gordon over issues related to their representation of Mr Gordon in a personal injury claim. 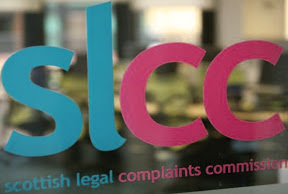 The SLCC’s investigation was ‘complicated’ according to legal insiders, although court documents seen by journalists revealed the law firm had, among its now disputed charges to Mr Gordon, charged a fee note to Mr Gordon for a phone call between the Law Society of Scotland and a partner from Kippen Campbell over a complaint Mr Gordon had made regarding service provided by his now former legal representatives. Sources at the Law Society said such moves by law firms are severely frowned upon by the regulatory body as solicitors are ‘not allowed to charge clients for dealing with complaints’. 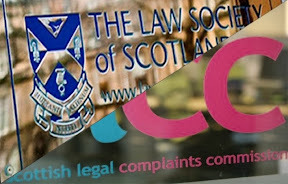 Suggestions have since been made that a complete audit be carried out of the law firm involved, and a wider investigation be initiated by the Law Society & SLCC into practices of law firms charging clients for dealing with complaints – a secretive practice which may be contributing to similar cases across Scotland of law firms pursuing clients for fees they claim are due, where the coincidence exists the client has been dropped by a law firm who are themselves subject to complaints & investigations by solicitor’s regulators. SLCC Chair Jane Irvine may still have to appear as ‘expert witness’ in Perth Sheriff Court over disputed fees & law firm’s conduct. 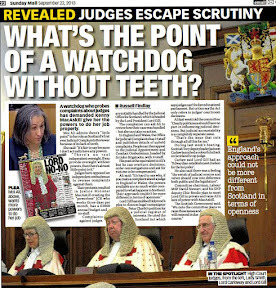 Progress on the case, now more than year on since I last reported on developments, where Jane Irvine, the Chair of the Scottish Legal Complaints Commission and at least one SLCC investigator faced being called as witnesses to be cross examined on the law firm’s conduct towards Mr Gordon and his personal injury claim, has been painfully slow, with almost no movement other than a succession of postponed hearings at Perth Sheriff Court on the law firm’s own pursuit of fees it claims it is owed. The fee recovery case being pursued by Kippen Campbell against their former client, has, according to court documents seen by Diary of Injustice, not even been allocated to a Sheriff even after a year of being passed around the local Sheriff court system. 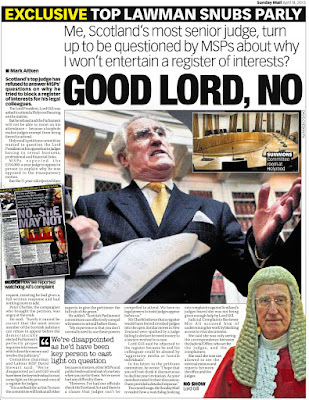 It has recently been revealed by legal insiders close to the case, the constant barrage of court hearings initiated by the law firm who dropped their own client and attempted to charge him for dealing with complaints, has taken its toll on the unrepresented Mr Gordon, whose well being has suffered so extensively his Doctor has been forced to write up to seven times to the court, stating his patient cannot attend proceedings due to failing health. 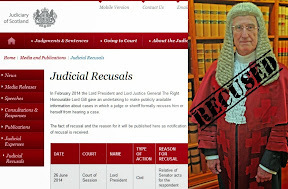 It has also been alleged that Mr Gordon has been treated with some disdain by local Sheriff court officials, who, appearing not to take Mr Gordon’s predicament as an unrepresented party litigant into account, have failed on numerous occasions to notify Mr Gordon of successive dates of court hearings. 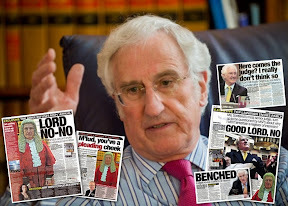 The court staff’s failures to notify Mr Gordon of events concerning the case against him have now become so numerous, some claim it is an attempt to ensure his former law firm who are pursuing him for fees they allege are due, obtain a decision in their favour during Mr Gordon’s absence from proceedings he is not being kept up to speed with and may not be aware of. Details from an investigation carried out by Diary of Injustice into the case can now reveal Mr Gordon, even in his weakened medical state while signed off appearing in court by his Doctor, has been forced on each occasion to ask for access to court interlocutors, detailing motions & events concerning the law firm’s court pursuit of fees they allege are due. On many occasions interlocutors have apparently been produced to Mr Gordon late, or in what some contend to be a questionable format with some papers provided by court officials appearing to have been adjusted photocopies of earlier postponements. 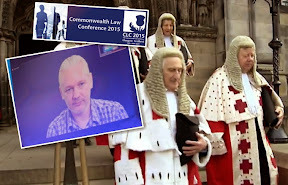 It can also been revealed that curiously, the Sheriff Court wrote to Mr Gordon’s Doctor during his annual leave, and set a date for reply and the next hearing of the case on the same day the Doctor returned to work. 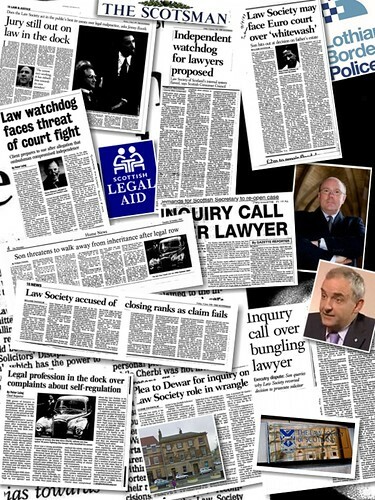 Law Society & SLCC failures over regulation of complaints against solicitors are impacting on clients health. The numerous Doctor’s letters required by Perth Sheriff Court in the Kippen Campbell v William Gordon A334/09 case are now causing concern in terms of their frequency & detail required by the court, to the point some are now questioning just how many times a Doctor should be harangued over the fitness of his client to attend proceedings in cases where the client has a long term medical condition, and when the likelihood is the stressful nature of such a case as it is continuing, against a background of serious allegations of complaints made against a law firm, and allegations of significant regulatory failures by the Law Society of Scotland & the Scottish Legal Complaints Commission, are only likely to make matters worse for Mr Gordon’s health. The Scottish Court Service were asked for comment on what guidance exists to sheriffs & judges on how to handle "Soul & Conscience" style letters from doctors relating to parties in civil law cases. Consumer Focus Scotland helped Scots consumers on many issues, including access to justice. CONSUMER FOCUS SCOTLAND staff have been told by their Chairman Douglas Sinclair, the organisation will continue to make sure Scots consumers get a fair deal in both private markets & public services until the Westminster coalition’s very anti-consumer decision to scrap the organisation takes effect sometime in 2012. I previously reported on the UK Government’s decision to scrap Consumer Focus & Consumer Focus Scotland HERE & HERE. 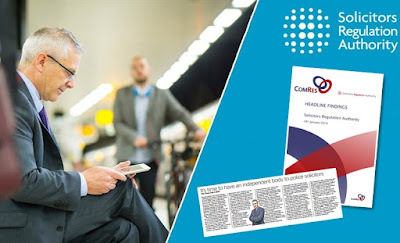 There is of course to be a “consultation” on the closure of Consumer Focus & Consumer Focus Scotland, details of which will follow in further reports, so there’s still time to try and save what is certainly a much needed voice for consumers all across the UK, and especially in Scotland. Scots will also have a chance to voice their opinion at the ballot box next May 2011 on which Scottish political party is doing the most to protect Scots consumers, so use your vote wisely when the time comes, and make your voice heard against those who would strip us of much needed consumer protection, especially in these perilous times of financial hardship where a lack of consumer advocacy will assist those professions who seek to rip-off consumers when no one is around to do anything about it. * Establishing the Scotland-based Extra Help Unit to support vulnerable consumers across Great Britain with their energy and post complaints. Since beginning work, the Extra Help Unit has dealt with thousands of complaints and enquiries and obtained over £1.4 million in compensation for vulnerable consumers. * Following years of campaigning and influencing work, helping to secure the passage of the Legal Services (Scotland) Bill which will widen choice for users of legal services and increase access to justice. * Securing the inclusion of a new duty on scrutiny bodies to continuously improve user focus in the Public Services Reform (Scotland) Act. * Playing a key role in the establishment of the Post Office Challenge Fund for Scotland to support the development of Scotland’s post offices. Considering some of their achievements, and their work as the former Scottish Consumer Council, they’ve done pretty well for us Scots, in many areas of consumer interest, particularly on issues relating to legal services, access to justice & regulation of the legal profession – my specialist areas of reporting. For what it costs to run Consumer Focus as an organisation, well, we’d be better saving it, than handing millions from the taxpayer over to those negligent bankers who have caused the cuts now facing public services & jobs in the UK. Law Society of Scotland & Scottish Government host latest talking shop on civil justice reforms. MONDAY of this week saw the Law Society of Scotland & Scottish Government co-host an event to mark European Civil Justice Day (25th October), an incredibly audacious feat on the Law Society/Scottish Government’s part, considering Scots still find themselves caught in the same “Victorian” civil justice system which came in for sharp criticism by the Lord Justice Clerk, Lord Gill in his Civil Courts Review, itself now more than a year on from publication. McKenzie Friends reform only saw light of day because of Holyrood petition. 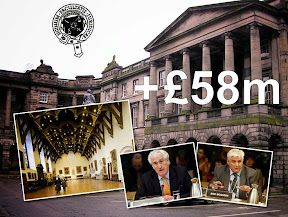 However, one year on from the Civil Courts Review, only one significant civil justice reform has been implemented – that of McKenzie Friends (lay assistants), which was itself forced through the Parliament by an intense consumer backed campaign surrounding Petition 1247 (McKenzie Friends for Scotland), filed by Perth-based law reform campaigner Stewart MacKenzie, and a November 2009 court ruling by Lord Woolman allowing Scotland’s first civil law McKenzie Friend in the case of A1628/01 Wilson, Martin v North Lanarkshire Council. & C Simpson & Marwick. While the Scottish Government chose not to issue a media release on the £35+ per person event, held on Monday 18 October at Victoria Quay, Edinburgh, (presumably because, according to one Justice Department insider, they didn’t want ordinary citizens attending the event) the Law Society of Scotland reported in their own press release (one could be forgiven for thinking looked like a Scottish Government release), and featured the comments of Communities Safety Minister Fergus Ewing, who again apparently stood in for the Justice Secretary Kenny MacAskill in terms of prepared comments. Fergus Ewing, Minister for Community Safety delivered the opening address at the event at Victoria Quay, Edinburgh, giving legal practitioners up to date information about existing and proposed EU legislation and other initiatives relating to civil justice. Mr Ewing said : “Today is the first time that a purely Scottish event to mark the European Day of Civil Justice has been held. Cross-border co-operation in civil justice improves the lives of the citizens of Scotland, as it increases their confidence in the civil justice system and their belief that it is working in their interests. It also brings economic benefits, by helping to encourage people to come to Scotland to live and work and making it easier to do business across national boundaries. The Scottish Government is therefore very much committed to it. According to the Law Society’s own media release, the joint event with the Scottish Government was intended to alert those who offer advice on the variety of ways they can themselves keep up-to-date with EU legislative developments, including the various services offered by the Society’s Brussels Office and by the EU and International Law Team at the Scottish Government. Speakers also discussed a range of topics including debt recovery and enforcement (throwing people out of their homes, repossession etc on behalf of loan sharks) ; succession law (making the most of defrauding deceased client’s wills & getting away with it) and family law (encouraging as many divorces & custody battles as possible). Tools designed to simplify the provision of cross-border legal advice such as the e-justice portal were also highlighted. HMS Ark Royal, scrapped along with the rest of us to pay off banker’s debts. ON the day it has been announced nearly 500,000 public sector jobs are to go, as well as £7 billion slashed from the welfare budget, Police funding cut by 4% a year & the retirement age to rise from 65 to 66 by 2020 – to name but a few of Chancellor George Osborne’s decisions in the spending review, and reflecting on developments earlier in the week where we were told our armed services are to be cut to the bone, and then some, perhaps we should take a minute out to remember exactly why this is happening, and exactly who is responsible. 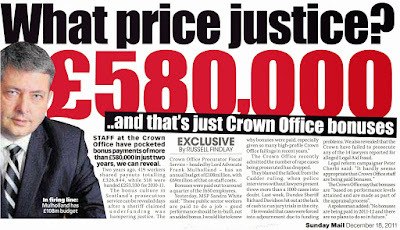 Sir Fred Goodwin who ruined the Royal Bank of Scotland, dubbed “The World’s Worst Banker” by the media. Exactly why these cuts are happening and exactly who is responsible are not difficult questions to answer. 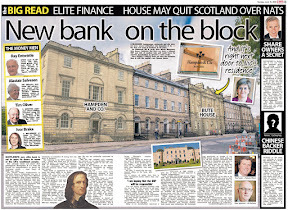 The reckless actions of our bankers through the lack of regulation in the banking sector caused it, by bringing down many of the UK’s ‘premier’ financial institutions to the point the former Labour Government had to use massive amounts of public money to prop up the likes of the Royal Bank of Scotland, HBOS & others. Lack of regulation is nothing new however, as thousands of consumers of legal services in Scotland discover every year, as well as tens of thousands of consumers a year in England & Wales. 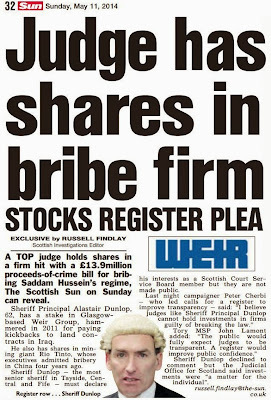 Since before I can remember, the Scots legal profession have ripped-off the public on an almost unregulated basis. 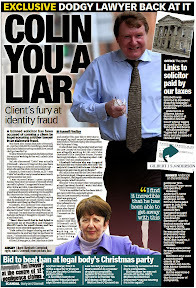 Complaints, scandals, financial turmoil, client losses, you-name-it, was all guaranteed to be covered up by one self regulator in Scotland, the Law Society of Scotland, and one self regulator in England & Wales, the Law Society of England & Wales. 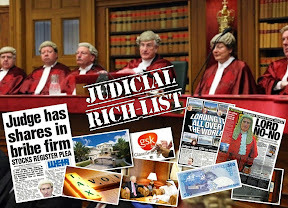 Now in 2010, with regard to legal services, the rest of the UK has moved on, with Law Society of England & Wales no longer controlling regulation of the UK’s legal services marketplace or, crucially the vast amounts of money which flow within it. However in Scotland, the exact opposite is true, with Law Society of Scotland still ruling the roost on every issue imaginable such as regulation, complaints, deciding who can provide legal services to the public, how much can be charged by way of fees, and inevitably also controlling exactly who among us can actually have access to justice and who cannot. 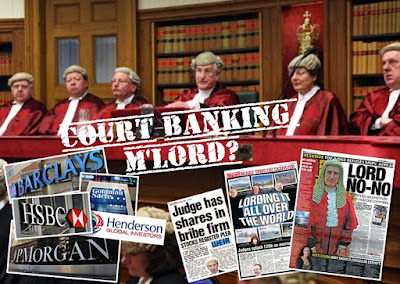 The Law Society of Scotland even controls financial claims made against [equally-as-reckless-&-corrupt-as-the-bankers] Scots law firms who will still continue to dominate Scotland’s legal services market, dressed up by the Law Society as providing access to justice, however in reality they operate little more than the same multi billion pound business full of scandals, financial crashes & fraud run by many of our less than glorious bankers who have, fortunately for them, found new highly paid jobs to keep their billionaire lifestyles going, while the remainder of the UK ends up on the scrap heap, along with the Ark Royal. Without doubt, lack of regulation in the banking sector has ripped our country’s public services, armed services, and economy clean apart. Politicians have since claimed they have done everything to prevent this happening again, and will ensure the bankers pay it all back. Personally, I doubt many believe this. The bankers will not pay it back. They couldn’t really care less about the rest of the country, as we found out in a BBC Scotland report “Trust me, I’m a banker” although the programme must have been so good, its no longer available on the BBC’s iplayer to watch again. So, tough new regulation for bankers so we never have another banking crisis again, ever, in the history of the planet. I don't think so. However, no tough new regulation for the billions of pounds of consumer’s money swishing around law firms in Scotland’s legal services market. No, that would be just too much regulation and too much consumer protection for Scots, and anyone who argues we should have increased and fully independent regulation of legal services in Scotland and all those billions sloshing around in it under the control of one, very closed shop unaccountable self regulator, is just plain wrong, right ? McKenzie Friends in Sheriff Courts are delayed until 2011. 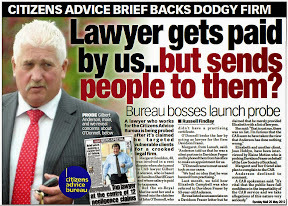 MCKENZIE FRIENDS in Scotland are back in the news today as it was revealed Scotland’s Sheriff Courts are to take several more months before introducing similar rules already implemented in the Court of Session during mid-June 2010 which allowed the internationally acclaimed courtroom helper into Scotland’s civil courts some forty years after McKenzie Friends first came into existence in England & Wales. 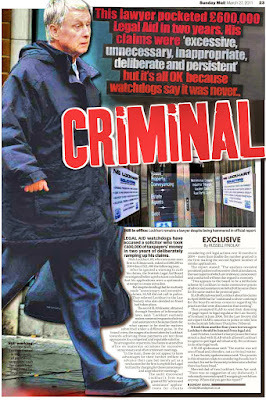 It had been thought McKenzie Friends would have appeared in the Sheriff Courts by the end of summer 2010. 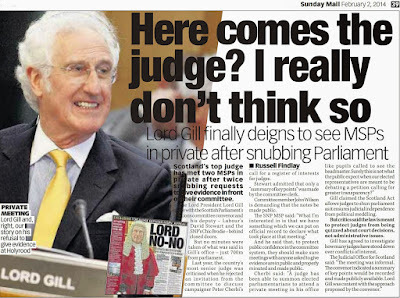 Lord Hamilton enacted ban on McKenzie Friends being paid in Court of Session, Sheriff Courts may take different approach. The eight month delay has been caused apparently by considerations of issues such as whether expenses should be recoverable by a litigant who has the support of a McKenzie Friend. 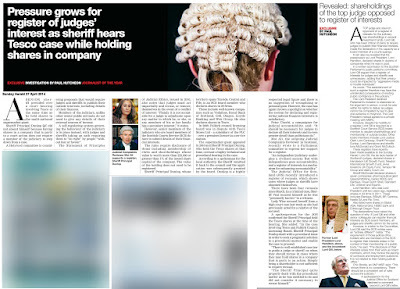 McKenzie Friends can already receive remuneration for their services in English courts, however the Lord President’s introduction of McKenzie Friends to Scotland’s court of session saw a ban on McKenzie Friends being able to charge for their services, a restriction some observers believe came about after the legal profession voiced concerns over their loss of business. 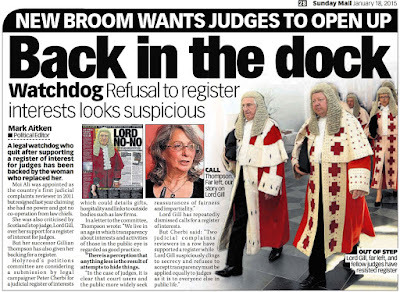 Legal insiders & consumer groups today criticised the long process of bringing McKenzie Friends to Scottish courts. An official from one of Scotland’s consumer organisations said the implementation process “could have been handled better, ensuring McKenzie Friends came into play in the Court of Session & the Sheriff Courts at the same time”. 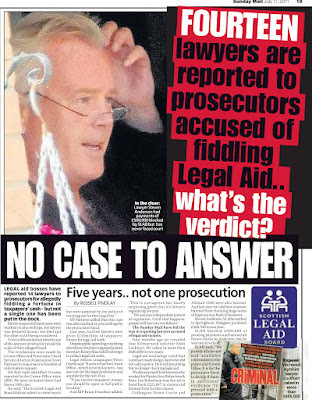 A solicitor pointed out today while it had now been the case for some months that party litigants could apply for a McKenzie Friend to assist them in the Court of Session, party litigants in Scotland’s Sheriff courts were continuing to face a long wait on being able to use a McKenzie Friend, thus raising the possibility Sheriff court users may be facing a ‘loss of access to justice’. 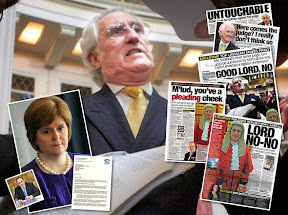 On the subject of expenses & remuneration of McKenzie Friends, he said : “Personally I have no difficulty with McKenzie Friends in Scotland being able to charge for their services, so long as their service is a valued one and productive for the party litigant." 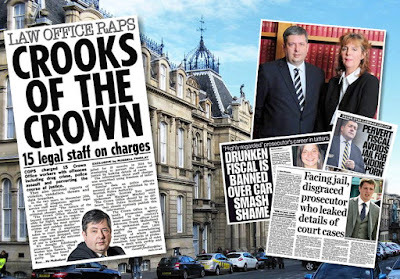 You can read my earlier coverage of the campaign to bring McKenzie Friends to Scotland, and how having a McKenzie Friend in court may assist party litigants here : McKenzie Friends for Scotland : The story so far.